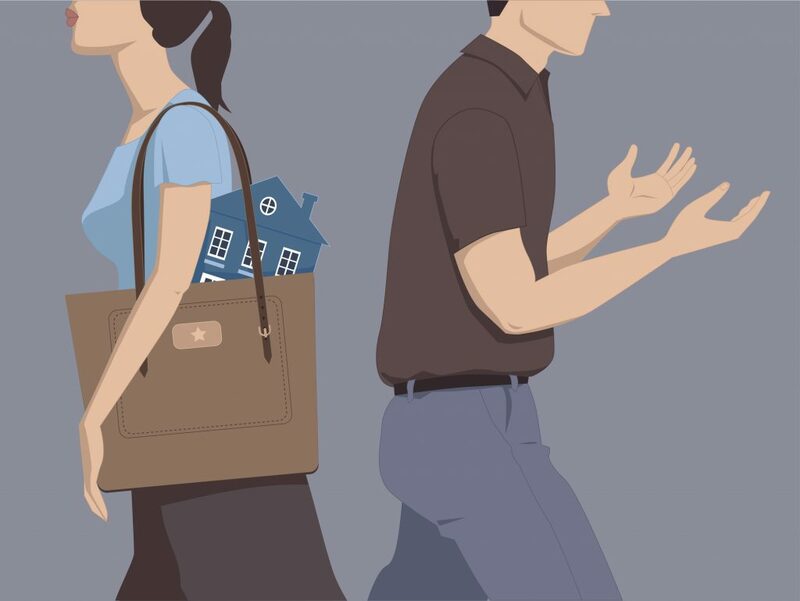 Property issues in a divorce or after a de facto relationship breakdown include the division of assets and debts, including superannuation, and the continuing support of the other partner after the relationship ends. In most cases, you must make a good faith attempt to resolve those issues through negotiation or mediation before you can ask a Family Law Court to make a property settlement. If your attempts to resolve your differences are unsuccessful, you can commence proceedings to obtain a property settlement from the Family Law Court. To do that, you file an application for a property order. You and your current or former spouse (or partner) are known as “parties” to the court proceedings. An application for a property order can only be filed after you have completed the court’s pre-action procedures, including mediation unless the court excuses compliance with those procedures. You can apply before or after your divorce is granted, but it often makes sense to wait until you are divorced before filing an application. If you are uncertain about the best time to file, get legal advice. Once you have filed your application, you will receive stamped copies from the court. You need to serve a copy on the other party. The application must be served personally. Mailing it does not constitute service. It is usually best to pay a professional process server to serve the papers so there will not be any doubt about whether they were served. If you do not know how to locate the other party, you should get legal advice. Your lawyer may be able to persuade the court that the application should be served on someone else or that service should not be required. In your application, you can ask for interim orders as well as final orders. An interim order might specify who has control over the property until a final order is entered. You can also ask for an order prohibiting the other party from selling, giving away, or damaging property. If you think there is an immediate risk of that happening, you can ask the duty registrar to schedule a prompt hearing so that the request can be addressed quickly. You can ask the court to enter an injunction against the other party or third parties. An injunction is an order not to do something. You might want the other party to be ordered not to mortgage property, not to take actions that would impair the value of the property, or to stop making payments that would cause the property to be repossessed. If you request interim orders, the magistrate who decides whether to grant them will schedule further proceedings in the case. Otherwise, the registrar will hold a scheduling hearing. The parties must attend the hearing and abide by the court’s schedule. The next court appearance is a conciliation conference. This is another attempt to encourage the parties to resolve their differences without a trial. You will each be asked to explain your goals and priorities regarding the property at issue. The court will expect you to make a genuine effort to negotiate and come to an agreement. If the conciliation conference fails to produce a settlement, the case will probably be scheduled for a readiness hearing. By that point, you should be ready for trial. If you are not, you will need to explain to the registrar why you are not ready and how much more time you will need to prepare. You will also need to tell the registrar how long you think the trial will take and which witnesses you want to call. If the registrar determines that your matter is ready to go to trial, you will be given a date for trial. Before trial, parties must try to agree upon the value of each item of property that will be included in the property pool. If they cannot agree, each party will need to present expert evidence to support his or her opinion as to an asset’s value. Experts are usually property valuers or appraisers (or financial experts in the case of financial assets that cannot be cashed out). Experts must prepare reports that are attached to affidavits. Each party pays for his or her experts. If the experts do not agree, a formal meeting must be held to allow the experts to talk to each other. The experts may agree upon a compromise valuation, or they may agree that one expert’s method of valuing an asset is superior to the other’s. If they still cannot agree, they must prepare a joint statement for the court that explains their areas of agreement and disagreement. If you cannot agree upon valuation issues, you should obtain legal advice. The formalities of presenting valuation evidence to the court are easy to misunderstand, and you risk losing the right to have your views considered if you do not follow the procedures correctly. Each party needs to prove its case at trial. That can be done by submitting affidavits and by calling witnesses. Since trial procedures and the rules of evidence are complex, you should be assisted by a lawyer if you want to maximize your opportunity to prevail. After the court hears evidence, it will make a property settlement. The court must follow the 4 step test in deciding the terms of the property settlement. Define the property pool. The court will determine what property is available for inclusion in a property settlement. The property pool includes all assets that either party owns, whether acquired jointly or individually, including property acquired before the relationship was formed. The court will also assign a value to the property based on agreements or evidence that the parties present. Finally, the court will determine the debts owed by the parties, whether individually or jointly. Determine the contribution made by each party. Financial contributions include contributions of property or income to the marriage. Nonfinancial contributions include raising children, doing laundry, and housekeeping. The court will assign a percentage of the total contribution to the marriage that each spouse made. The longer the marriage or relationship, the more likely it is that the court will view the contributions of each party as equal. Assess the future needs of each party. A party with a good job who is in good health might be able to provide for his or her own future needs. A party with no job and no superannuation interests who is in poor health will probably need financial assistance in the future. Decide upon a just and equitable property settlement. The division of property might follow the percentage of contributions that each party made to the relationship, or the court might adjust the division in light of future needs or other equitable considerations. It might also decide to award one party a lump sum or ongoing support payment to help that party prepare for independent living. Since the court might not give you what you want after applying this test, you should make every effort to settle your differences before trial. Doing so saves money and time and allows you to control the outcome.